I thought I should write to you at this time and at the outset may I congratulate you on the performance of the SLPP, the new political party of which you are the Chairman. The performance of the SLPP was somewhat better than many expected, though as you are well aware, fell far short of what a successful comeback by the Rajapaksa’s would require. The basic political formulae of 2015, that of Rajapaksa verses the rest, still held true and while you garnered an impressive 4.9 million votes nationally this is considerably less than the 5.7 million, an unsuccessful effort of Mahinda Rajapaksa in January 2015. The percentage vote also of the SLPP at 44%, is also less than the losing 47% polled by Mahinda Rajapaksa in 2015. This, however, is still a creditable performance but probably owes more to the fact that the rainbow coalition’s progeny, the national unity government of the UNP and the SLFP had not delivered on the high expectations, hopes and aspirations the people reposed in them in January and indeed August 2015. Tempting though it must be, I hope you would not be obstructionist with regard to the attempted reforms by the government going forward. The first area of concern has been reports of some of your successful candidates at the election engaging in post-election violence, intimidation and harassment against their opponents and shockingly against women candidates. While the primary reason was lax policing after the election, the responsibility should be with the perpetrators, who are unfortunately mostly from your party. Reports are emerging that the integrity and moral quotient of some or many of your candidates are quite suspect. You may not want to further promote such individuals nor condone their violence. Frankly, if this is the response to winning a local election, we can well anticipate the night of the long knives which would likely be unleashed in the eventuality of success at a general election. It has been particularly distressing to witness the politics, policies and rhetoric utilized by the Rajapaksa comeback project in opposing reforms and reconciliation. While parochial narrow ethnoreligious nationalism is always morally repugnant and intellectually hollow, as you have discovered, the appeal to baser instincts are always electorally attractive though at a huge collective social cost. I would appeal that you and the JO front bench, which is notably mono-ethnic be mindful of the diversity of Sri Lankan society and the need for political reforms in a post-war environment. The tone, tenor and content of the political rhetoric emanating from your party’s senior political leadership has been anti-minority. You are no doubt aware of the allegations made in Parliament by the Leader of the Opposition and the TNA, regarding the misinformation, carried on by your party before, during and after the election. Your counter that the TNA ceded Tamil political space and authority to LTTE during the war years, is rather disingenuous considering that your chief allies in the Tamil areas of the Eastern Province are all former leaders and fighters in the LTTE. Moreover, the “support” by the ITAK to the LTTE was obtained through the barrel of a gun and through the murder of many of their leaders. Really post-war reconciliation and healing a polarized society requires more statesmanship or responsibility than your political masters and co-travellers have demonstrated. I also read with interest your post-election statement that there is a conspiracy to drive a wedge between the Muslim Community and the SLPP and its Rajapaksa comeback project. You would no doubt be aware that the SLPP fared disastrously among both the Muslim as well as the Tamil community voters. Your party secured just 1% of the vote in the Jaffna District and 1.5% of the vote in the Batticaloa District. The attacks on mosques, the anti-halal movement and the burning of Koran’s started in the post-war period under the Rajapaksa Administration. The extremist organisations, which in-fact welcomed your electoral successes were provided with both covert and even overt assistance during the Rajapaksa years. They have been defanged since 2015 but have received a fresh lease of life from the politics and rhetoric of the SLPP. Then there was a ludicrous demand by your allies for the position of the Leader of the Opposition in Parliament to be handed over to former President Rajapaksa. 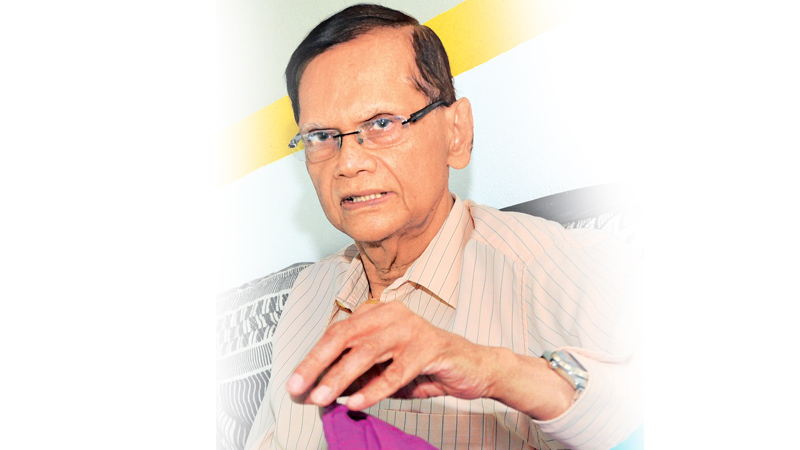 The serious obstacle to this arises from the fact that he is elected to Parliament as a member of the UPFA. The President as head of the Cabinet and Government is also head of the UPFA and the UPFA is formally part of the Government as most recently confirmed in Parliament by the General Secretary of the UPFA. You would no doubt agree that it would be ridiculous for both the head of government and the leader of the opposition, to be from the same party.